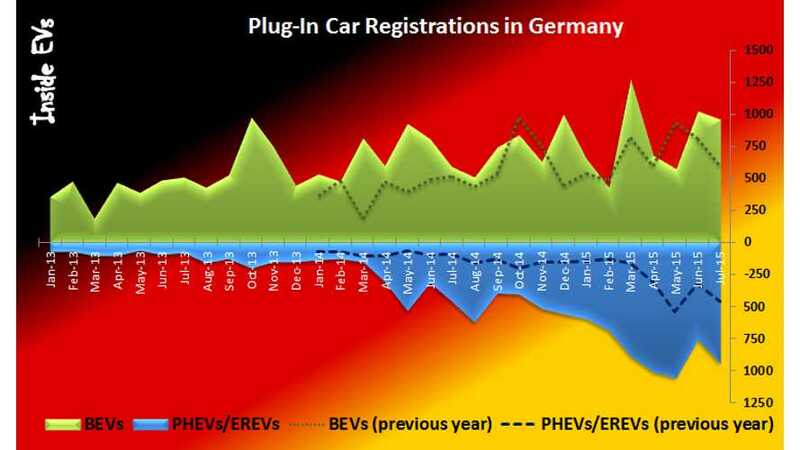 80% of year-over-year growth for plug-in electric car registrations in Germany enabled the second best ever result in July - 1,906. Only March was higher at 2,164. Sales split almost exactly in half between all-electric and plug-in hybrids - 962 and 944 respectively. Both types acquired 0.3% market share (total 0.6%). Plug-in hybrids are gaining momentum, so we expect that they will be more popular in the near future. Last month, Kia Soul EV set its own sales record for the second month in a row and exceeded 200 units. Tesla Model S was the third best BEV with 132 registrations, just behind 133 non-REx i3. Other BEVs are still dancing around in two-digits. On the plug-in hybrids side, the Audi A3 e-tron surged to a record of 288, record taking first among PHEVs. 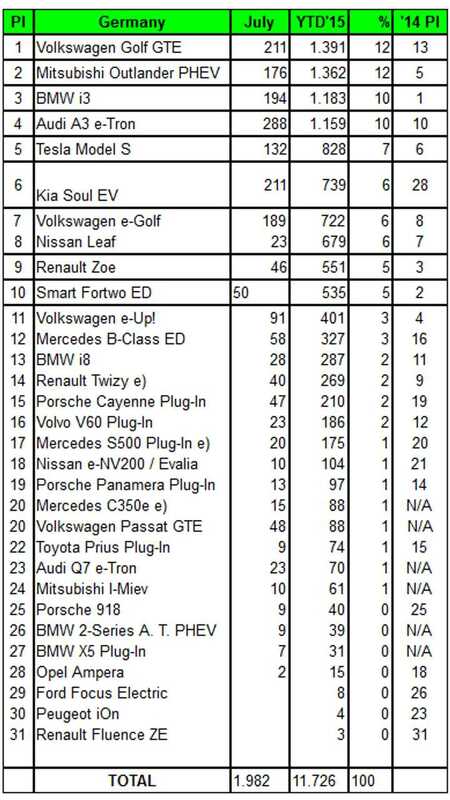 Detailed stats are available from EV Sales Blog. 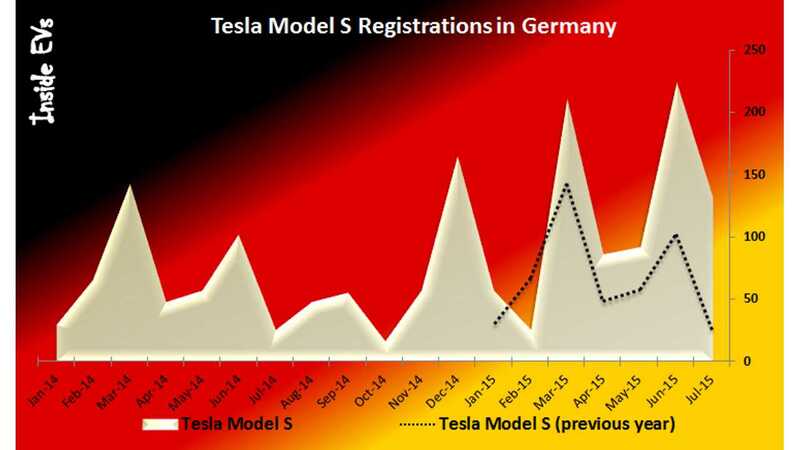 And here's a bit on Model S sales. The situation is improving as average monthly sales increased from around 68 in 2014 to 118 in the first seven months of this year. Model S EVs are delivered in batches, according to demand, but at 1,500 annually (up from 815 in 2014) we believe Tesla is still far from its target.